Welcome to Allentown yard. 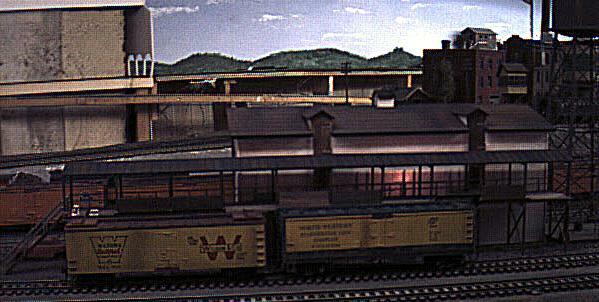 This is the back side of the yard looking towards the engine facility. 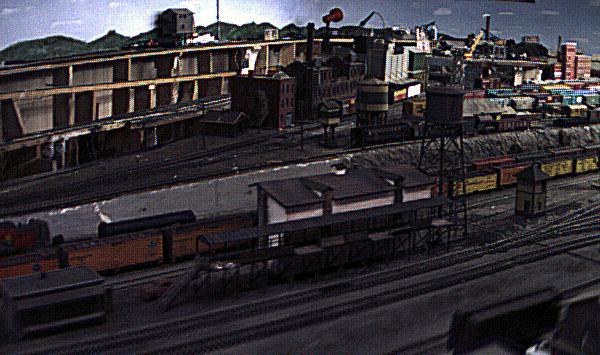 An overall view of Allentown lower yard, upper yard throat and in the background, the coal yard for the Huber Colliery. The icing platforms can be seen on this close-up of the ice house. 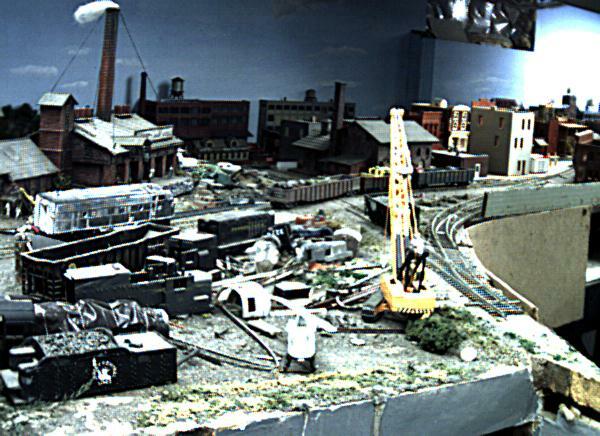 Once again from the back side of the layout. Here's Schultz' junk yard just above the mainline in Allentown. 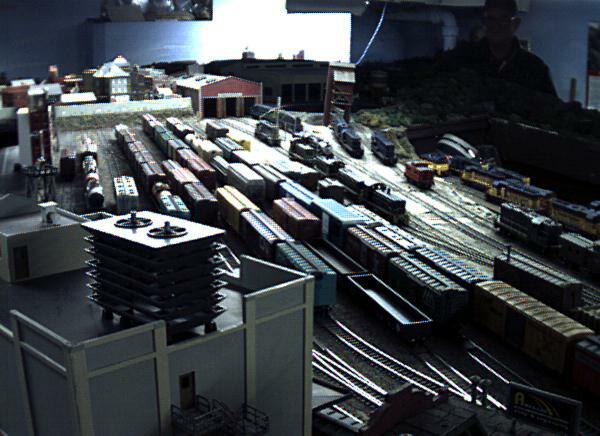 This has become a very busy place on the layout. It seems that more kitbashing project pieces keep ending up here. The strange part is that when you need a part for another project, it's probably in the yard. Talk about recycling.